Neil Gaiman wins the Hugo Award for The Graveyard Book. The Guardian has revealed the VERY long list for the Not the Booker Prize. I found this article about the secrets of the Amazon best-seller list very interesting. This list of the 50 Best sites for audio books addicts was very useful. Another Cookie Crumbles persuaded me to add The Magic Toyshop to my wish list. I’m always on the look out for good audio books to listen to, so Beth Fish Reads review of Forest of Hands and Teeth by Carrie Ryan added it to the TBR list straight away! 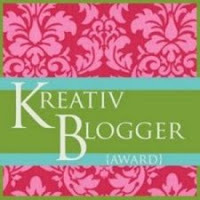 Sandy kindly awarded me the Kreativ Blogger award. 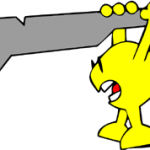 If you haven’t visited Sandy’s blog yet then you really should. We have a similar taste in books, so if you enjoy reading my blog you will love hers. Sandy is also one of the best commenters in the blogosphere. She is almost always the first person to comment on my posts and I am really hoping she wins the best commenter award (along with a few of the other categories!) at this year’s Book Blogger Appreciation Week. I really hope that you enjoy The Magic Toyshop. Angela Carter is very much on my radar at the moment so looking forward to your thoughts on that one. I’ll race you to find a copy!! Oh Jackie, you are the sweetest! You know, you are always one of my first commenters as well. If I don’t see your comment come through in the first hour or two of my post, I know you must be sick or away from the house! I’m going to have to check out this site for audio book addicts, which I think I am. Admitting I have a problem IS the first step! Sorry for being slow to comment on your blog for the next few days – don’t worry I’m not sick – just having fun! I love the cover of “The Magic Toyshop.” I can’t wait to read your review! It may be a while before I get round to reading it – I have a few Bookers to read first! Audible.com is NOT a rental site. You own your books for life. There are many levels of “membership” not just monthly. The best listening devices are NOT any of the devices listed. The best devices are some models (not all) of these brands of MP3 players: Creative, Cowon, and iPod. I can’t imagine being hooked up to an eReader while listening to a book and the Playaway seems stupid to buy, though perhaps great for libraries. Many of the free sites offer books read by volunteers. Just because you know how to read English doesn’t make you a good book narrator. Even for free, I wouldn’t bother downloading a file unless I can sample the quality of the narration and production. I’ve had some abysmal experiences with the free sites. It’s interesting that Amazon and Kindle are listed at the top of their lists. There are many other sties for rentals and buying that are not listed. 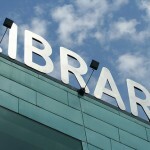 In the United States most libraries also offer OverDrive and/or NetLibrary for free downloading. Sorry — I guess you hit a nerve. Please forgive me!!! The links at the site are still worth looking into. Congrats on your awards and thanks so much for the “plug”!!! Now I’m off to read the MSNBC article. Beth – Thank you so much for clarifying things! I just thought it was an interesting list of links and discovered a few new sites thanks to it – I’m not an audio book expert like you! You should write a list of your own best audio book sites! I’m glad that Beth clarified the site a bit because I was just about to ask you if you used any of these sites for your downloads. I have just started listening to audiobooks, some that I’ve won in giveaways and some that I’ve borrowed, but they are too expensive to buy and my library is too far away at the moment (new one is being built by me). I’ve heard that there are sites online where you can get free audiobooks, but it’s good to know a lot of these are done on volunteer basis. What’s a girl to do?? Thanks for the link to kitabe – I haven’t used an audio download site yet, but am looking into it. I don’t have digital downloads available at my library and the range of CDs they have is very small. When I’ve worked my way through the small selection they have I’ll be on the look out for a download company. The Amazon article is really interesting, thanks for the link! Doesn’t exactly answer all my questions on the ranking, but still interesting. I liked having an author point of view on this. And The Forest of Hands and Teeth was just so good, I hope you enjoy it! The Forest of Hands and Teeth has a great title – I am not the hugest fan of zombie type books, but I think I will have to read this one! I honestly need to bump up an audio book on my priority list – they seem so much more expensive than a regular book though – even on the iTunes store, where I’m not physically buying a copy! Oh, and I really hope you enjoy The Magic Toyshop if and when you get down to reading it. Else, I’ll feel terribly guilty! The Magic Toyshop sounds good to me! Congrats on the award, Jackie! I like the cover of The Magic Toyshop. Thanks for mentioning it! I’ve been tempted by Magic Toyshop a lot recently. A lot of blogs seem to be picking up on Angela Carter at the moment. I’ve not read any of her works, and I am getting very curious! I’m glad you want to read Magic Toyshop, I read it recently for part of my Virago Modern Classics venture and loved it. Forest of Hands and Teeth has been on my wishlist for sometime. Never heard of the The Magic Toyshop, but definitely love the cover.